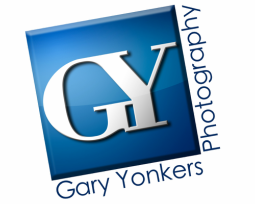 Gary Yonkers Photography is proud to offer our talents as an on location or in-studio photographers. Vibrant colors through accurate color management or rich black and white portraits are our specialties. Our goal is to create an image that you are proud to display in your home or place of business for years to come. Gary Yonkers Photography is often booked 2-3 weeks in advance, so please plan accordingly when booking your photographic session. Please note that our weddings will generally book 6-18 months in advance.